I recently visited Sea Creek Falls near Suches, Georgia. The falls are isolated and the area doesn’t seem to be heavily used. If you’re looking for quiet solitude this would be a pretty solid bet. These beautiful falls are certainly worth a visit if you can make the time. Some of the online directions can be misleading. But, shortly after turning left onto FS264 from GA-60, you’ll be presented with a sharp bend to the right where you can ford the creek in your vehicle or you can park on the left. Just park on the left and there is a decent trail that runs a short 0.3 miles to the falls. There were large sections of the trail pooled with water and we hadn’t had much rain at the time I visited. You’ll also need to wade part of the creek to get a good perspective. So, I highly recommend wearing your waterproof shoes. I captured this image using my 24-70mm f/2.8, tripod mounted and using a circular polarizer. I capture GPS coordinates with my outdoor captures. If you need exact GPS coordinates for the sites I visit you can find them at my flickr location. Thanks as always for stopping by. 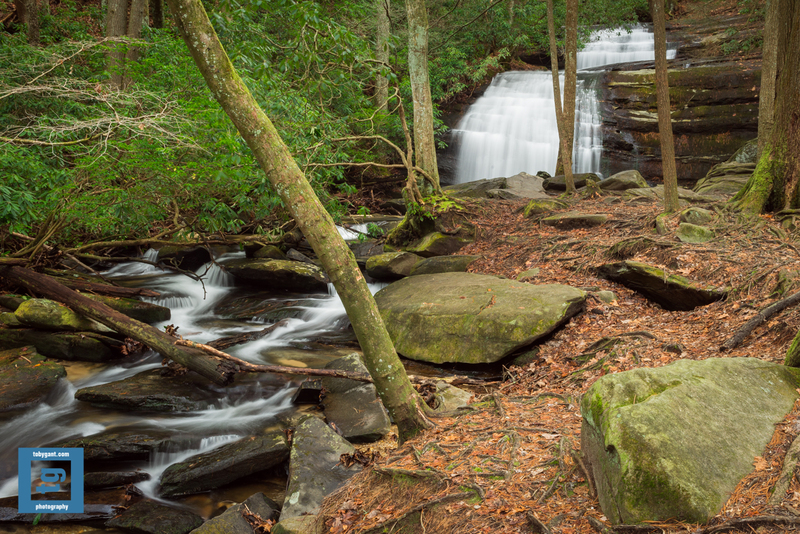 One of my favorite hikes in 2014 was along Dodd Creek in White County, Georgia. 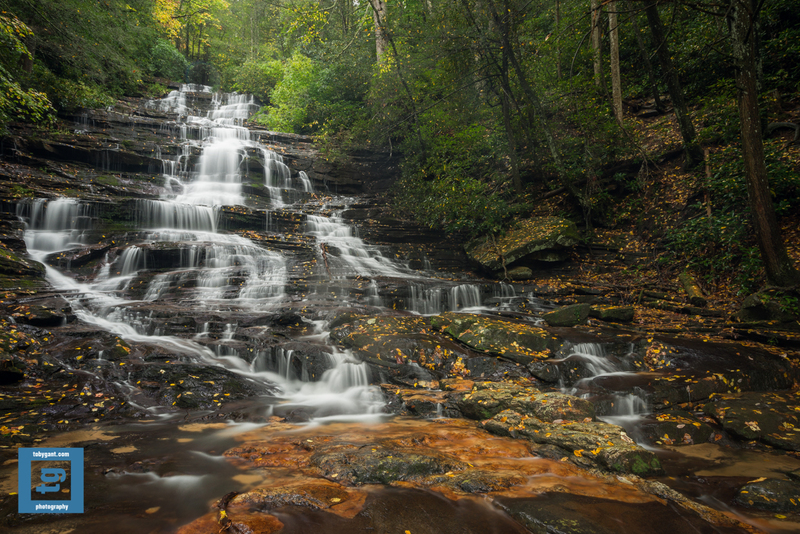 The hike to Raven Cliff Falls is certainly one of the most picturesque in the area. I came back from that 2 mile hike with several gallery images. I captured this image using my 16-36mm f/4, tripod mounted and using a circular polarizer. You can find this image along with several others in the gallery images at my site. Thanks as always for stopping by. I hope you all had a great 2014. I just visited Fall Branch Falls near Blue Ridge, Georgia. It’s a fairly short and easy hike to get to falls. It’s uphill on the way in to the falls, which is nice. There’s a clear pool at the bottom of the falls that adds to its beauty. I captured this image using my 16-35mm f/4, tripod mounted and using a circular polarizer. You can find this image and more in my gallery collection. Thanks as always for stopping by. 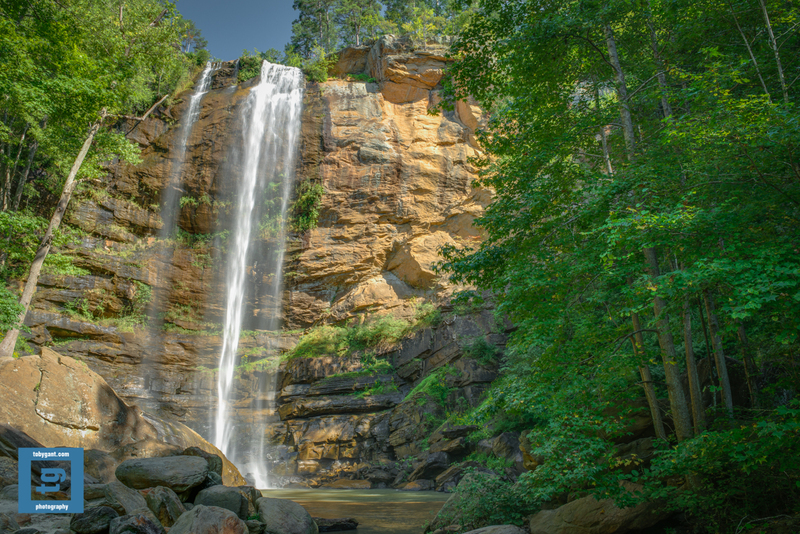 Of all the falls I visit regularly, the falls on Crow Creek near Lakemont, Georgia are rapidly moving to the top of my favorite list. I have yet to visit them and be interrupted by anyone and it is an extremely peaceful location. I can take my time and really enjoy the entire process. As I sit and review my captures, I am already looking forward to my next visit. I captured this image using my 24-70mm f/2.8, tripod mounted and using a circular polarizer. Thanks for stopping by. Minnehaha Falls near Lakemont, Georgia is one of my favorite falls to visit in north Georgia. It would be difficult to tire of such a terrific place. Best of all, I always return home with some great images. I captured this image with my 16-35mm f/4, tripod mounted and using a circular polarizer. Thanks for stopping by as always. I’ve been able to get out and explore this week. The leaves are changing in the North Georgia mountains. What is normally a beautiful area becomes truly stunning with the changing colors. 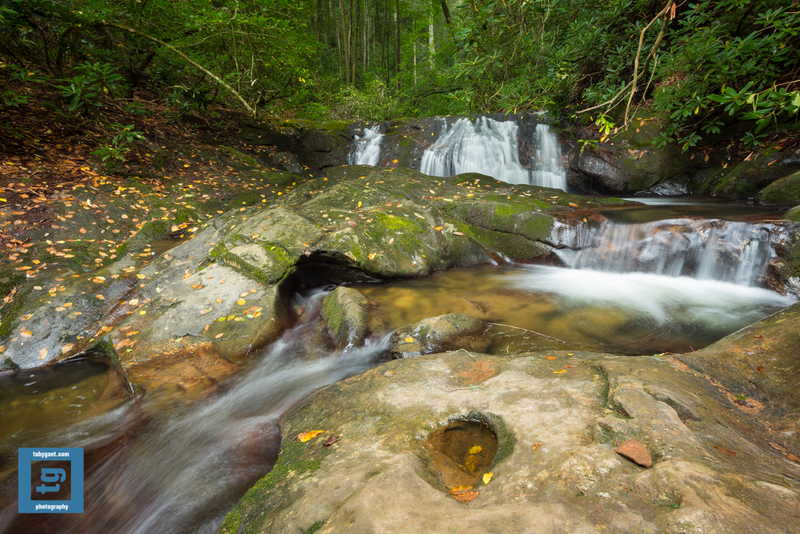 I captured this image of Dicks Creek Falls using my 24-70mm f/2.8mm, tripod mounted and using a circular polarizer. Thanks for stopping by. 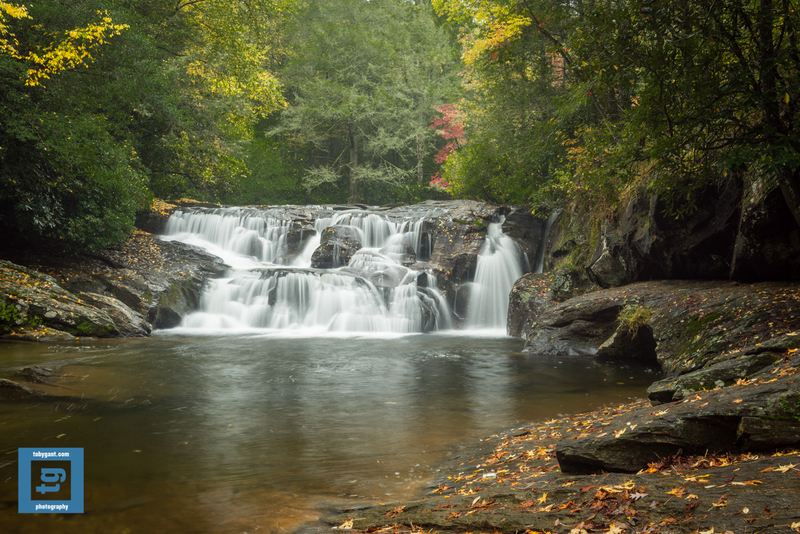 I recently visited Ammons Falls near Clayton, Georgia. 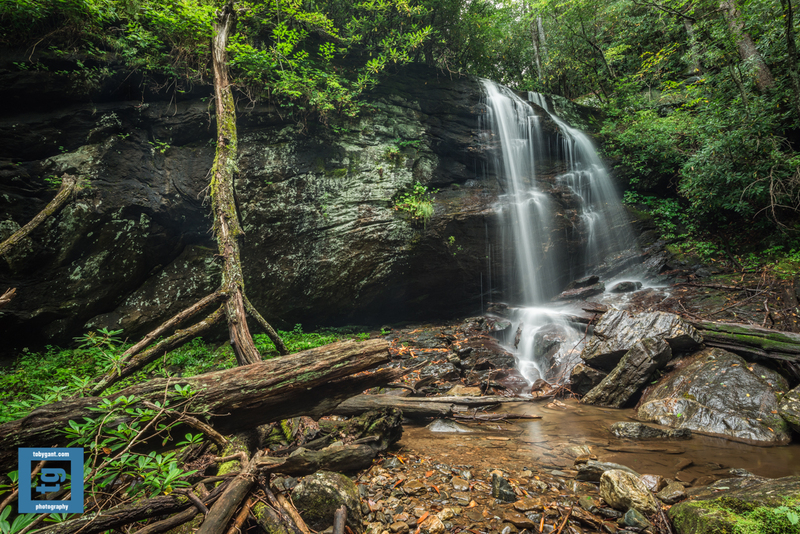 It is in close proximity to Holcomb Creek Falls. 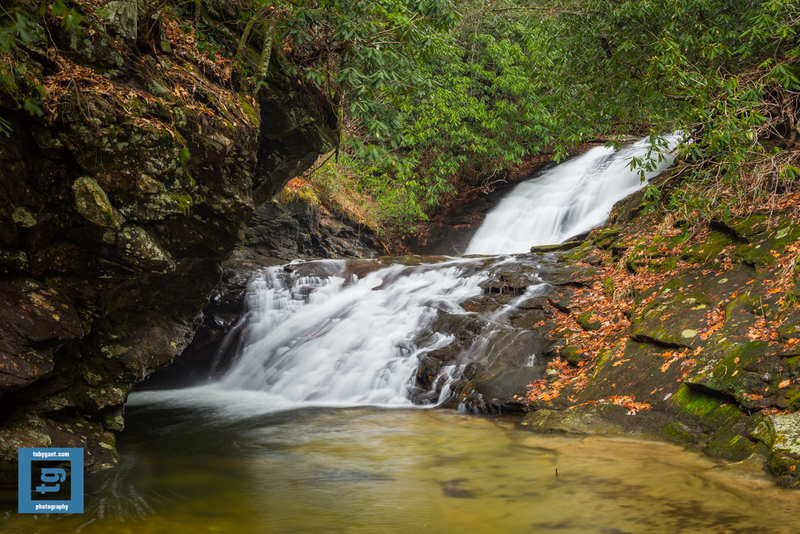 I’d visited Holcomb Creek Falls just a few months ago but, due to time constraints I was not able to continue on to Ammons Falls. So, on this visit, Ammons Falls was my primary objective. I’m happy I visited them. The trail ends on a viewing platform. I was comfortable and enjoyed quiet solitude for the duration of my visit. I captured this image using my 16-35mm f/4, tripod mounted and using a circular polarizer. Thanks as always for stopping by. 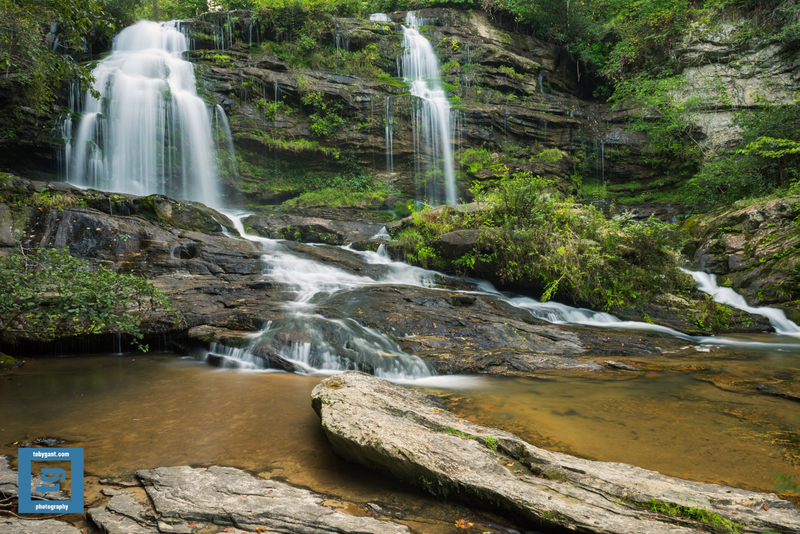 I recently visited Long Creek Falls near Long Creek, South Carolina. It is an incredibly beautiful location. 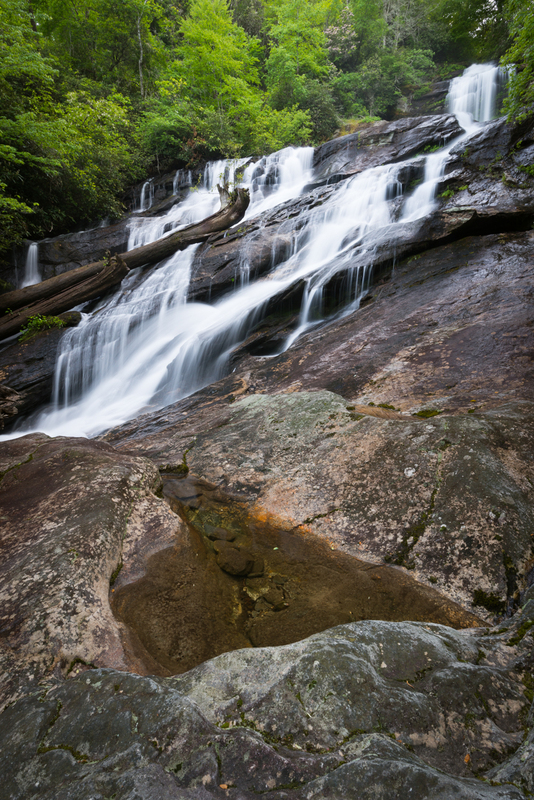 The falls are tucked away in a bend on the Chattooga River. I walked away with some great captures. My only real dilemma is deciding which capture to post. I have posted an alternate image in the gallery images of my website. I have hiked the trail to Raven Cliff Falls in Georgia once previously. At the time it was late in the day and it was more or less a race to reach the falls before the sun had set. On that trek, I passed incredible scenery along the way that I could not stop to appreciate and capture with my camera. With that said, it has been on my list for quite some time to visit the trail again to attempt to capture Dodd Creek. The trailhead is located on Richard Russell Scenic Highway in White County, Georgia near Helen in the Chattahoochee National Forest. I have walked many trails in this part of the country and this trail is particularly beautiful. It is also very, very busy. Anyone seeking solitude should visit on a weekday. The trail is teaming with hikers, campers and adventure seekers most weekends. To get this particular capture I had to leave the main trail. I was able to ford the creek to the far side to get closer to the falls. But, to get this angle on the falls, I had to remove my shoes and socks and roll my pants up to my thighs and wade across the creek back to the other side. The water was very cold even this late into summer. But, I was able to get my shot and I am very pleased. I captured this image using my 24-70mm f/2.8, tripod mounted and using a circular polarizer. You can see this image and more of my gallery images on my site at http://www.tobygant.com/Gallery/. Thanks as always for visiting. My first attempt to locate Denton Branch falls was not a success. I recently made another attempt to locate them. Fortunately, I was able to locate them this time. And I’m very happy I was able to locate them. It is a beautiful area and a beautiful waterfall. For anyone who cares to visit, there are conflicting instructions on finding the location. Driving through Tate City, you will pass Chappel Ln on the right. (It is marked with a sign.) The very next right is the “road” that leads to the trailhead. It is not marked with a sign. There is a sign on the opposite side of the street that marks a gated private drive. (River Run N.) When you see the sign on the left, take the unmarked road to the right. The road is very uneven grade. I would suggest taking a vehicle with higher than average ground clearance. Or find a place to park shortly after leaving the main road. I captured this image using my 16-35mm f/4, tripod mounted and using a circular polarizer. Thanks for stopping by. Photographing nature within certain “hours of operation” is tricky at best. As you most likely already know, light is everything in photography. 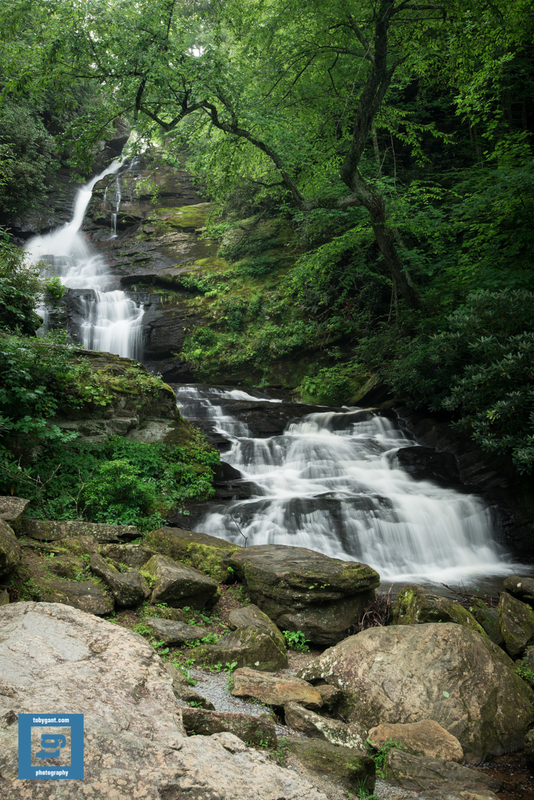 My first attempt to capture Toccoa Falls was in the late afternoon and the lighting was simply impossible. I decided to be there when they open the doors and see what I found. They don’t open the doors until 10:00 AM EDT. The sun is already very high in the sky at that time. The morning light is almost as bad as the afternoon light. With all that said, I used the LR Enfuse plugin in Lightroom 5 to create a HDR image from only two different exposures. The first I exposed for the cliff face that was in the direct sunlight. The second I exposed for the trees to the right that were in the shadows. I captured this image using my 24-70mm f/2.8, tripod mounted and using a circular polarizer. Thanks for stopping by. 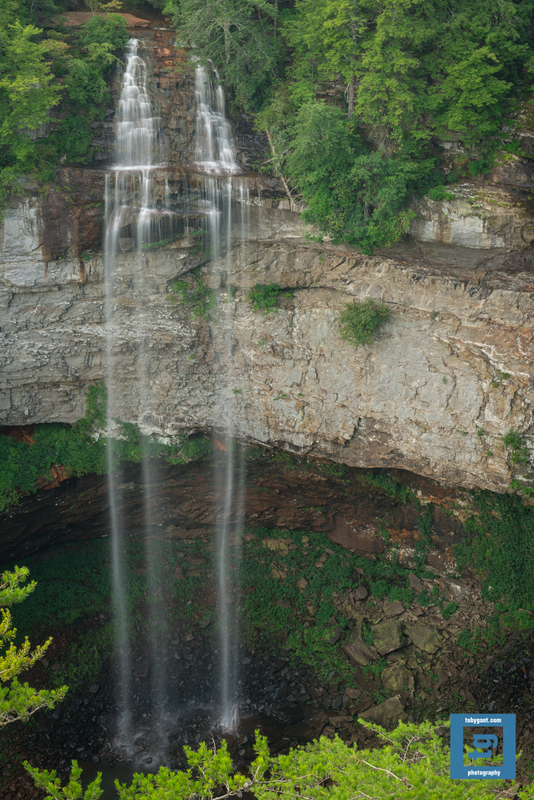 I captured this image of Fall Creek Falls on my recent trip to the Tennessee State Park of the same name. 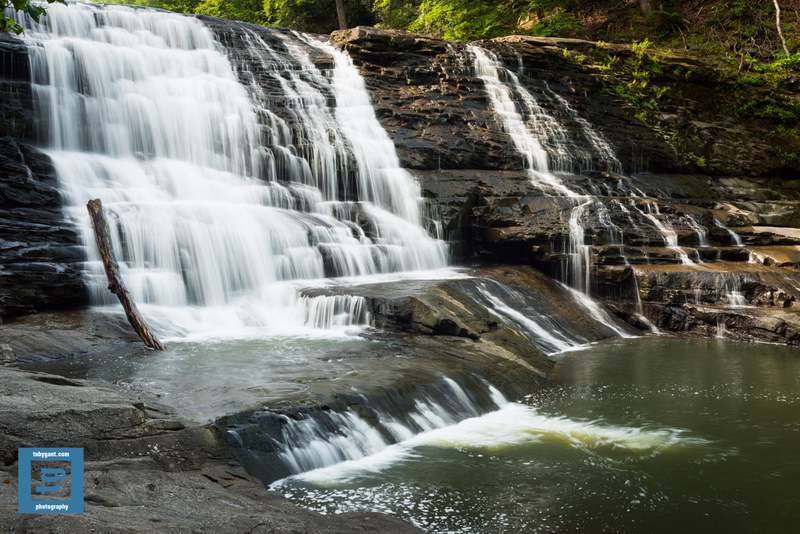 At 256 feet (78 meters), Fall Creek Falls is one of the tallest waterfalls in the US east of the Mississippi River. I captured this image using my 16-35mm f/4, tripod mounted and using a circular polarizer. You can find more of my work on my website. Thanks for stopping by. This is my third visit to Mud Creek Falls near Sky Valley, Georgia. On my previous visits I always returned with some great images but, never of the actual falls. Perseverance payed off and on my visit over the weekend, I was able to capture the essence of the falls and bring back some great images. 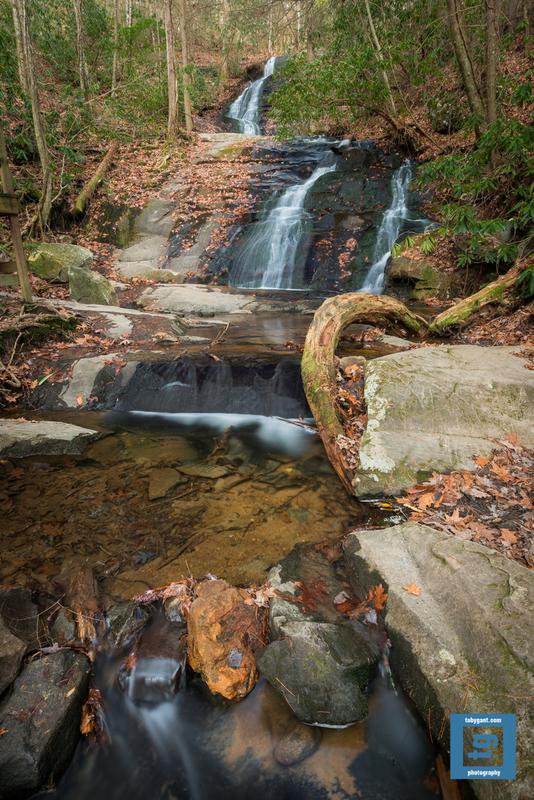 I captured this image of the falls using my 16-35mm f/4, tripod mounted and using a circular polarizer. I was fortunate to be able to spend a couple of days out in nature with my children last week. We visited Fall Creek Falls State Park in Tennessee. The trip was more about getting away than photography this time. But, I was able to capture a couple of images. 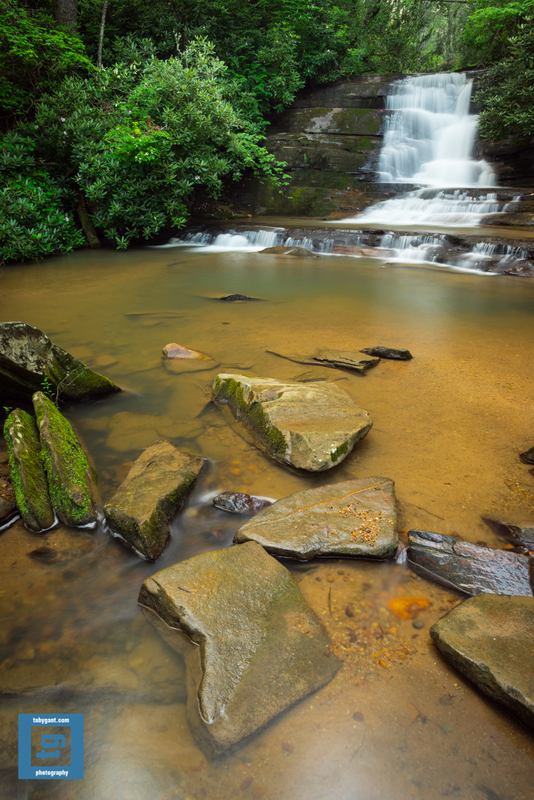 I captured this image of the Cane Creek Cascades using my 24-70mm f/2.8 tripod mounted and using a circular polarizer. Speaking of my setup, Chris O’Keefe was kind enough to reach out and share a capture with me over the weekend. I suggest stopping by to see his work at http://milfordstreet.wordpress.com. 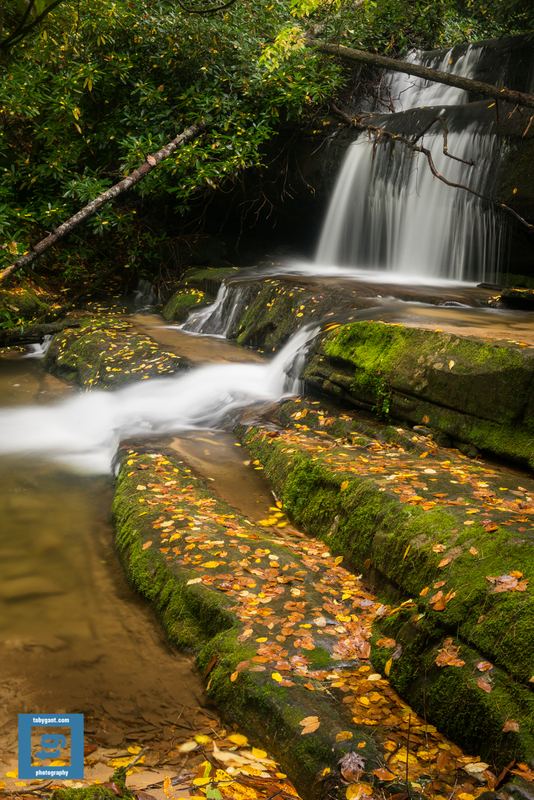 I visited Stonewall Creek Falls for the first time in September of last year. Although it is a beautiful area, the lighting was mixed on my first visit. I just found an opportunity to return and found much better light. I was rewarded with some great captures and I’ll look forward to returning again. If you were to visit these falls with capturing images in mind, I’d suggest the early evening hours. 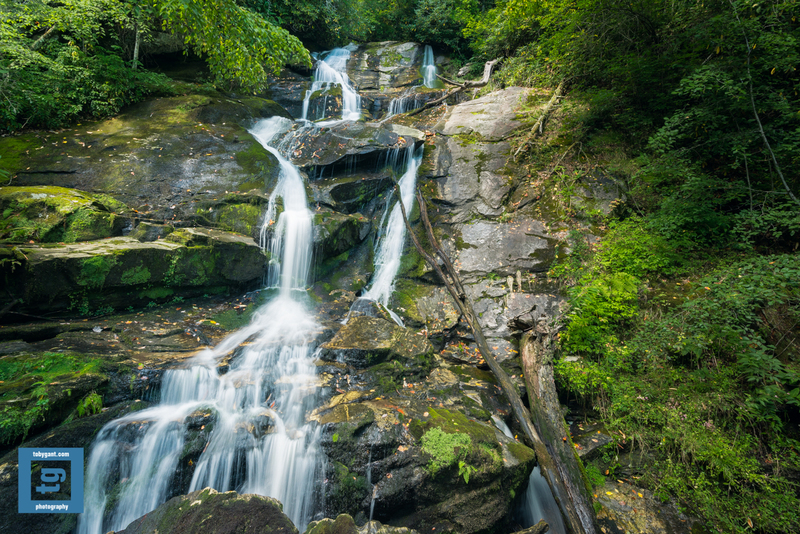 I captured this image of Abrams Falls in the Great Smoky Mountains National Park. I was late getting on the trail due to circumstances a bit beyond my control. The sun was setting behind the horizon when I’d reached the half way point going to the falls. I passed a couple that informed me that they were the last people at the falls and that I would have them all to myself. It was a beautiful trail and hike. I made it to the falls with enough available light to capture the falls. I captured this image using my 24-70mm, tripod mounted and using a circular polarizer. Thanks for stopping by. I captured this image of Cades Cove in the Great Smoky Mountains National Park early in the morning. The fog was very dense and visibility was limited. As I was driving slowly and watching intently for wildlife, I progressed down road. I was passing the fence posts steadily and as the fog slowly revealed the plain in front of me. That’s when I realized the fog was the subject I had been looking for. I captured this image using my 16-35mm f/4 tripod mounted. You can see this and more of my gallery images on my site at http://tobygant.com/Gallery. Thanks as always for stopping by. 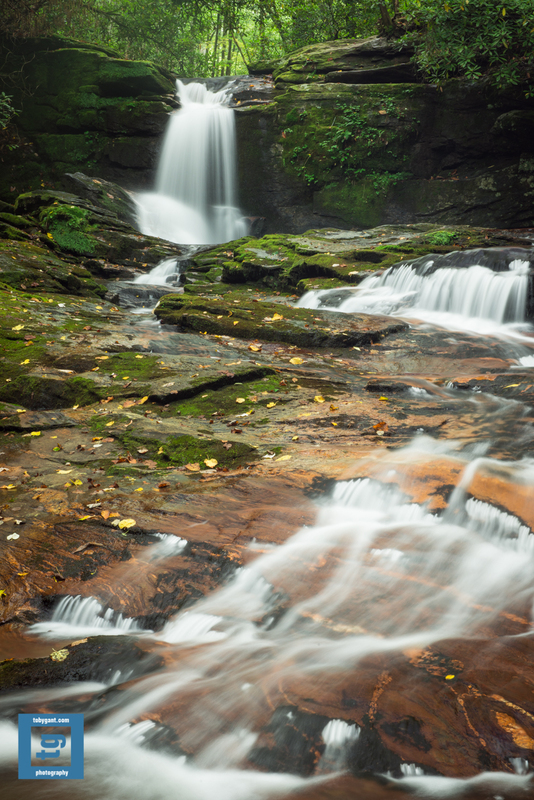 Climbing over a couple of boulders and a fallen tree gave me a very different perspective of Holcomb Creek Falls. I think pool of collected water formed from the constant spray of the falls lends itself to create an interesting composition.